The OCEANWT Hoodie is an incredibly versatile garment. It will keep you comfortable in the sun as well as warm and dry when things get cool. 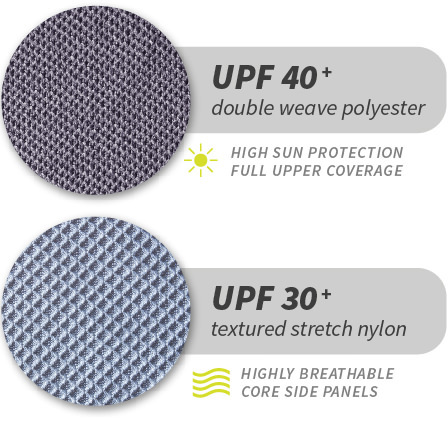 OCEANWT styles use double weave polyester and textured stretch nylon that work in tandem to adapt to changing conditions while providing broad spectrum UV ray sun protection. Hoods helps block the sun and light getting on your face and eyes. The OCEANwt Hoodie is perfect for sight fishing and the way the hood is formed it never twists into your line of sight when you turn your head. Love it.